Lemons, the origin of the lemon has always been uncertain but there is strong evidence that the Romans grew it as early as the 1st Century. There is a wall fresco in Pompeii (destroyed in 79AD) that shows bright yellow spindle shaped fruit held upright on a tree. There are several references to it coming to Europe from ´southern barbarians´ so this could be China. The Arabs had certainly introduced the lemon and sour orange to Palestine and Persia by the start of the 12th century and from there fruit found their way to Spain, Portugal and North Africa. 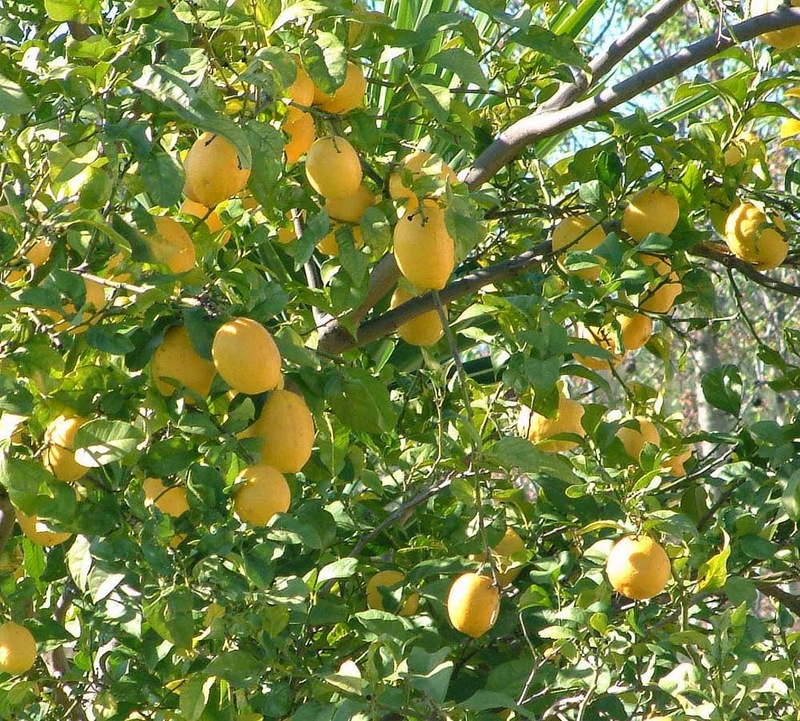 Lemon trees are very vigorous and need regular pruning to retain their shape. This is a fruit which you can put into a gin and tonic, use in salad dressings, main courses and desserts. It will also help with the washing-up, polishing copper pans and remove stains from your tablecloth. Freshly cut lemons always smell wonderful and come packed with vitamins and nutrients.